Have you set your goals for next year yet? Prue and I are going to be setting ours over the next couple of weeks before Christmas. It’s terrific having the flip chart out planning our new projects and strategies. And committing to what breakthroughs we want to achieve in 2013. We’ve got plenty, and I hope you do to – because 2013 is the best year of opportunity yet for business owners in Australia. 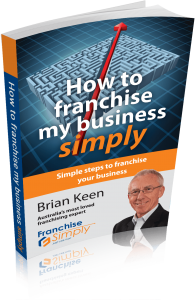 As part of our planning we always schedule in some great quality franchise workshops where we can provide training to aspiring franchisors, and be inspired by what others are doing, as well as meet new and interesting people. Is disruption good for business?